Congratulations to our boys Gavin Wilson and Sean Murdoch for their call up to the Scotland squad! They will train at the Falkirk Stadium in preparation for a game versus East Stirling FC on Monday 4th February. 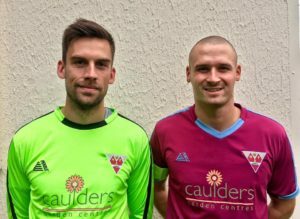 This entry was posted by Cupar Hearts on January 24, 2019 at 07:22, and is filed under News, Season 2018-2019. Follow any responses to this post through RSS 2.0.Both comments and pings are currently closed.